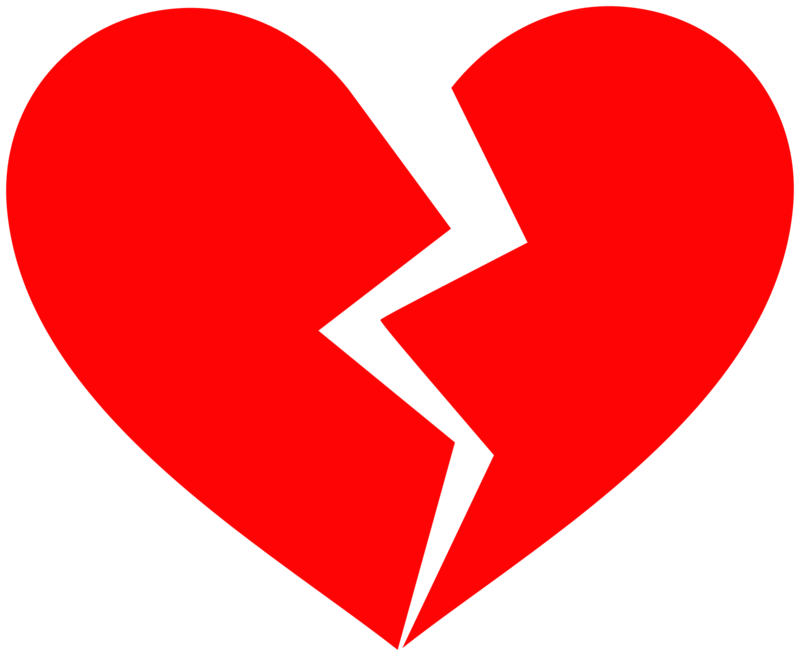 Daily Trust reliably gathered that Esther who was dating Rasaq, popularly known as ‘fine boy’ suddenly decided to quit the relationship but Rasaq who is a commercial motorcycle operator was not happy with her decision. Rasaq was said to have connived with one of Esther’s female friends to poison the food meant for the whole family. After eating the food, Esther and her mother, Mrs Kehinde Fasanya who was a staff of Obokun Local Government died instantly. Efforts to save the lives of other people that ate from the food failed as three among the four persons that were taken to Wesley Guild Hospital of the Obafemi Awolowo University Teaching Hospital in Ilesa eventually died. The Commissioner of Health in the state, Dr Rafiu Isamotu said he was aware of the death of additional two persons out of the four persons taken to hospital in Ilesa and that he has not been updated about the death of the third person. “Two out of the four persons that we took to Wesley Guild Hospital in Ilesa could not make it. They are dead. Four persons lost their lives so far to the best of my knowledge. I have not been told about the death of any of the remaining two persons,” Isamotu said. The Commissioner of Police in the State, Mr Fimihan Adeoye in a chat with Daily Trust on telephone confirmed that Rasaq has been arrested and that he was being interrogated. He assured that the matter would be diligently investigated. Scores of Lagosians on Tuesday stormed the Lagos State Secretariat, Alausa which houses the Governor’s Office and the Lagos State House of Assembly demanding an immediate end to all demolitions in the state. The protesters who came under the aegis of the Federation of Informal Workers Association of Nigeria (FIWON), frowned at what they called illegal and deliberate demolition of buildings and markets occupied by struggling people in the informal sector of the economy. According to them, any government that fails to recognise the roles played by people in the informal sector in governance, and chooses to embark on the demolition of their houses and businesses, is sowing the seed of failure both in the short and long run. The group which comprises mechanics, market traders, and farmers, among others, was led by the General Secretary of FIWON, Mr Gbenga Komolafe, who accused the Lagos State government of using the state’s megacity dream as an avenue to rob hapless residents of their lands, markets and businesses. “The Lagos State government has been trespassing on the rights of the informal sector. They use officers of the state’s task force to intimidate law-abiding residents who are going about their normal businesses,” he said. “They harass and lock them up in prisons. Now, we understand that due to lack of space at Kirikiri, those arrested are now taken to Badagry. Sadly, when they come back from these prisons, most of our people do so in vegetative states, and some have even died,” he added. However, in his reaction, the Special Adviser to the Governor on Transport, Mr Olanrewaju Elegushi, promised to convey the message of the protesters to the State Governor, Mr Akinwunmi Ambode. 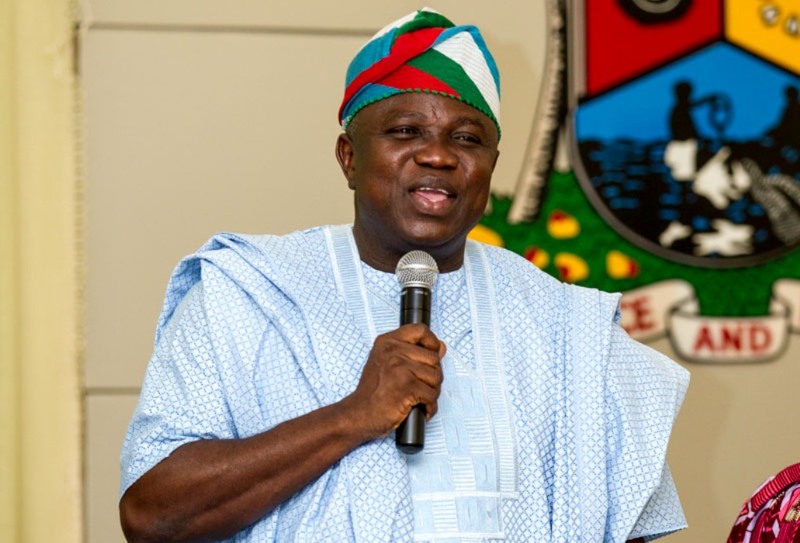 He stated that the Ambode-led government was a government with a human face, and as such would not do anything against the law, and neither would it do anything that would undermine the well-being of residents of the state. “Everything you have said has been taken note of, and it would be channelled to the appropriate quarters. I can assure that your complaints and plights will be critically looked into, and very soon, you will hear from the government,” he said. After many months of dillydallying, President Muhammadu Buhari yesterday sacked the Secretary to the Government of the Federation (SGF), David Babachir Lawal, and the Director-General, National Intelligence Agency (NIA), Ambassador Ayo Oke. Buhari said the decision to sack the duo, who were ‎earlier suspended over allegations of fraud levelled against them, followed his acceptance of the recommendation of the panel to terminate their appointment. And swiftly, the president announced the appointment of Mr. Boss Mustapha as the new SGF. The appointment takes immediate effect. A statement by the Special Adviser on Media and Publicity, Femi Adesina, yesterday said the president also approved the setting up of a three-member panel to, among other things, look into the operational, technical and administrative structure of the NIA and make appropriate recommendations. The three-man committee included the National Security Adviser (NSA) Babagana Monguno, and the Attorney-General and Minister for Justice, Abubakar Malami. Vice President Yemi Osinbajo, who headed the Presidential Committee which investigated the allegations against Lawal and Oke, had told newsmen that only President Buhari would determine the fate of the duo. Osinbajo who gave the indication after he submitted the report of the panel in August was, however, silent on the recommendations in the two-volume documents he made available to Buhari in the Presidential Villa, Abuja. Lawal was grilled by the panel over the N220 million meant for the welfare of Internally Displaced Persons (IDPs) in North-East while Oke was suspended over the discovery of large amounts of foreign and local currencies by the Economic and Financial Crimes Commission (EFCC) in a residential apartment at Osborne Towers, Ikoyi, Lagos, to which NIA has made a claim. In December last year, the Senate called for the resignation of Lawal after its committee on the humanitarian crisis in the North-East indicted him for corruption. There was public outcry over the refusal of the president to take action on the resolution of the upper legislative chamber. In its reaction to the sacking of Lawal and Oke yesterday, the opposition Peoples Democratic Party (PDP) called on the National Assembly to immediately initiate impeachment processes against President Buhari for allegedly violating his oath of office through the twisting of the law against perceived opponents and in favour of his supporters. In a statement by its spokesman, Dayo Adeyeye, in Abuja, the PDP expressed dismay that the president could simply replace Lawal with Mustapha without subjecting him to prosecution. “The statement on the sack of Lawal and Oke is a slap on the face of Nigerians. It is an insult to the-collective intelligence of our people who have waited patiently for the president’s reaction on the humongous act of corruption by two of his principal aides and this is totally unacceptable. PDP lamented that “it took the president almost one year to attend to this matter while the culprits were having a field day at home and enjoying themselves. Whereas, in the case of the opposition, especially the PDP members, even when the evidence is flimsy, they will be visited with multiple harassment and intimidation for months and weeks without proper trial. Condemning alleged disregard for the rule of law, the PDP said: “We believe that we are operating under a democracy and a constitution that governs our affairs. To have subjected these people to different sets of rule and treatment is totally unacceptable. Nigerians are the same under the law and Lawal and Oke should not be tried by the presidency while others are hounded by the EFCC and ICPC. At press time yesterday, a caucus meeting of the All Progressives Congress (APC) was underway at the Presidential Villa, Abuja with President Buhari in attendance. Others at the meeting were leadership of the National Assembly, APC governors, state chairmen and chieftains of the party from across the country. The agenda was not known, but sources said it was not unconnected with the situation in the party that has thrown it into disarray. President Muhammadu Buhari on Monday night said he was aware of the investigation of two sacked officials by anti-corruption agencies, saying the investigation should continue. The spokesperson was reacting to criticisms that trailed the sack of Babachir Lawal and Ayodele Oke, former Secretary to the Government of the Federation and former head of the National Intelligence Agency respectively. President Buhari had ordered the sack of both men earlier on Monday following a review of a panel report that investigated allegations against them. The panel was headed by Vice President Yemi Osinbajo. Many Nigerians, though commended the dismissal of both men, asked that Mr. Buhari order their arrest and prosecution. Mr. Shehu, however, indicated that the two men were already being investigated by the anti-corruption agencies. “Based on his wish and desire for a strict observance of the law, the President expects the EFCC, ICPC and such agencies to proceed with ongoing investigations,” the spokesperson said. “When and where they have reasonable grounds to charge former or serving officers to court under our laws, they do not require the permission of the President to do so,” he added. The spokesperson for the Economic and Financial Crimes Commission, Wilson Uwujaren, could not be reached for comments about the status of the investigations. However, the panel headed by Mr. Osinbajo found Mr. Lawal culpable in a slew of allegations that included questionable diversion of funds meant for the internally displaced persons in the North-east. Consequently, the investigative committee, which included Attorney-General Abubakar Malami and National Security Adviser, Babagana Monguno, recommended termination of Mr. Lawal’s appointment, the presidency said in a statement. Mr. Oke was the head of NIA when the EFCC found N13 billion belonging to the foreign intelligence office in an apartment in Ikoyi, Lagos, on April 12. As with Mr. Lawal, Mr. Osinbajo’s panel recommended Mr. Oke’s dismissal after looking into the circumstances surrounding the cash haul. The panel submitted its report on August 23, but Mr. Buhari did not act on it until Monday. Another presidential aide, Femi Adesina, told Channels Television’s ‘Politics Today’ Monday evening that the president was being painstaking with the content of the report. Before their appointments were ultimately terminated, Messrs. Lawal and Oke had been placed on suspension since April 19. They appeared before the panel on several occasions during its 14-day, closed-door sitting. While welcoming their sack on Monday evening, a civic rights group, Socio-Economic Rights and Accountability Project, SERAP, admonished Mr. Buhari to reassert his anti-corruption posture by calling for a thorough prosecution. “What the government needs at this time is a revolutionary approach to the fight against corruption if Buhari is to show his commitment to ‘kill’ corruption before corruption ‘kills’ Nigeria. “Without effective prosecution of high-ranking public officials charged with corruption, this government’s fight against corruption may sadly turn out to be all motion and no movement, and this will eventually undermine the legitimacy of the anti-corruption efforts,” Mr. Adewale said. The group also reminded Mr. Buhari to pursue criminal charges against the fugitive former head of presidential task force on pension reforms, Abdulrasheed Maina. Mr. Maina was revealed by PREMIUM TIMES penultimate Friday as having sneaked back into the public service four years after he was sacked for alleged pension fraud. Mr. Buhari ordered Mr. Maina’s dismissal with immediate effect and called for an investigation into how he was recalled. “Buhari also has to move swiftly to publish a report of the investigation into the secret reinstatement of the fugitive former civil servant, Abdulrasheed Maina, and without delay identify and bring to justice anyone suspected to be involved,” SERAP said. While President Buhari did not authorise the immediate arrest of Mr. Lawal and Oke, he has ordered arrests of persons indicted of corruption in the past. When Mr. Buhari received the reports of the presidential arms probe panel in 2015, he ordered immediate arrest or former National Security Adviser, Sambo Dasuki, and other officials of the last administration who were indicted. The panel submitted its interim report on November 17, 2015, finding Mr. Dasuki culpable in the award of “fictitious and phantom contracts to the tune of N2,219,188,609.50; 1,671,742,613.58 dollars and 9,905,477.00 Euros,” amongst others. Soon after receiving the report, Mr. Buhari “directed the relevant organisations to arrest and bring to book, all individuals who have been found complicit in these illegal and fraudulent acts,” according to a State House statement on November 17, 2015. Bar. 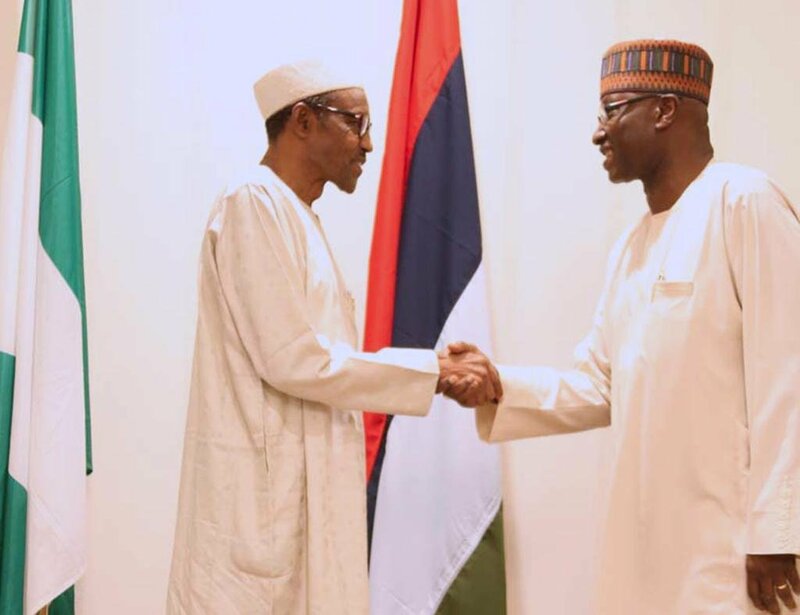 Boss Gida Mustapha, new SGF.